Riding Etape du Tour? 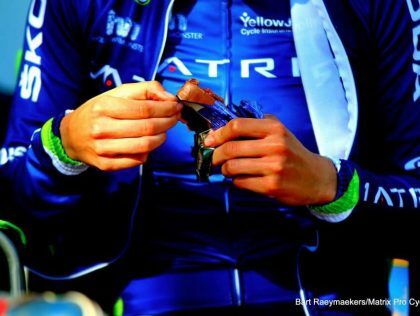 Medical Dietitian and former Pro rider Darren Barclay tells you how to fuel. Is it necessary to have a nutrition strategy? The fuel demands of the Etape du Tour are HUGE - whether a professional rider or a well-trained amateur rider. 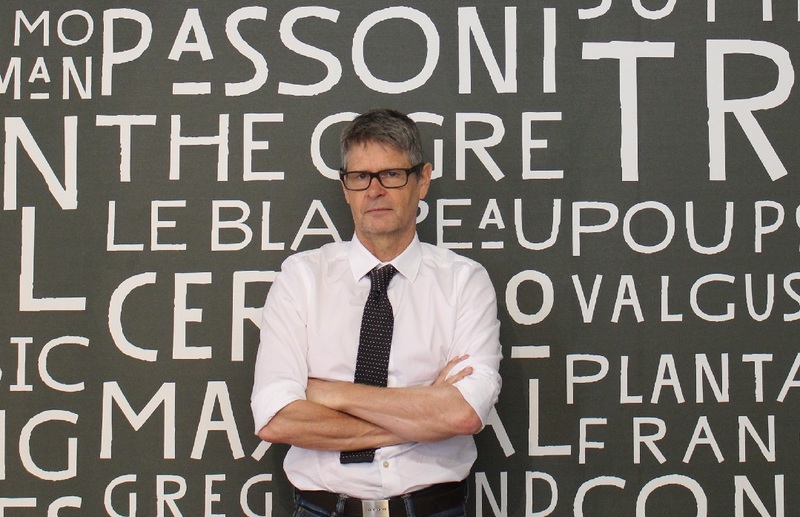 Let me start by stating and it might sound obvious, but you cannot just turn up and ride the Etape du Tour and neglect nutrition, even with a high level of fitness. Optimal training plans and equipment unfortunately will not substitute or even offset a sub optimal fuelling strategy. When the duration of cycling exceeds 2 hours irrespective of the intensity, nutrition becomes fundamental. The Etape du Tour is an endurance event on unforgiving terrain, it is not a blast around the park, criterium or hack in the countryside. Now I mention this as any rider that has done any of these and ridden at a solid pace and found the legs wobble or head becoming light and thoughts of draining energy from the body towards the end of an hour or so, will know exactly the feeling that can occur, and it can happen very early in the Etape du Tour if ridden without fuelling effectively and / or ridden too hard. What and when should you eat prior to the Etape du Tour? Firstly NOW should be the time to start taking a sensible approach to 'moderation' to eating and drinking. Train and train to practice eating on the bike. Obvious as it sounds. 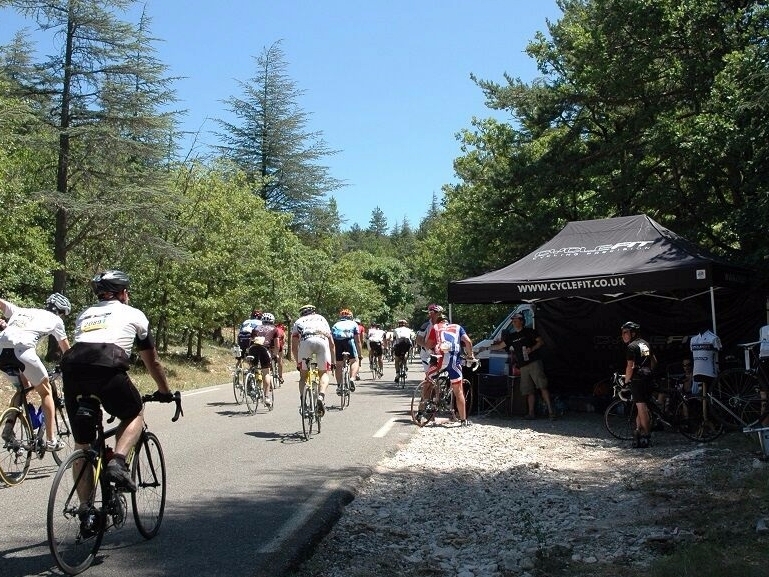 In the Etape du Tour fuelling regularly, every 15-20minutes from onset is vital. We are creatures of habit that don’t like change. We go out training or race with a bottle in the cage filled with an electrolyte drink and a gel or bar or banana in the pocket, but it is so easy to forget or feel after all its not necessary, we justify that we will feel okay or its opportunity to shave a few calories (often which we replace later in the day anyway), this won’t work at all during an event like Marmotte or the Etape du Tour. Not only do we have our learnt behaviour to how we fuel on the bike, but we should also be allowing our gastrointestinal system the ability to metabolise what we are eating. So it's best to practice eating during training, practice eating the same foods and drinks that you will use during the Etape du Tour. Have an understanding of substrate utilization versus power or perceived effort. You don’t need to be sports physiologist. But it will help you to have a working grasp of substrate utilization during exercise - i.e. the energy source - and what is the fuel being used? – carbs /fats/ proteins that we utilise at different intensities can significantly alter the way we fuel. If you ride on power, you will have a good indication of energy output or it’s not too difficult to come up with the numbers. Now the fat burning zone is known to most, but good advice is to keep in mind when riding near / at or over threshold - you are using carbohydrates predominantly as the fuel source. High octane. For sure threshold is trainable and we can become more efficient at utilizing proteins and fats. BUT threshold = carbohydrates. Period. We can all store plenty of FAT - at 9kcal per gram it's pretty efficient fuel source compared to carbohydrates at 4kcal per gram. BUT - Carbohydrates we can only store in the body in limited amounts - in the region of 400g – 600g depending on our build and muscle mass. We store it in the muscles and the liver. So it’s a limited supply. And so its is wrong to presume it’s always full. Ride full gas / threshold and above for 60-80mins and we will empty our glycogen tank (stores) completely. In terms of the Etape du Tour our ‘threshold’ our ‘FTP’ should mean a warning light. When we approach this we are nearing the red, and for short periods of time this okay, BUT it is a limited fuel source. Well – why not just replace what is lost? BUT we cannot completely replace, that is the point. We are able to fuel during cycling effectively at 1 -1.2g /kg carbohydrate per hour, but this is the limit. So we may get a bit of extra time to exhaustion when riding on the limit but we would utilize much more then we can effectively take on. Practice fuelling at ~ 1 gram/ kg / body weight during training on longer rides > 90/120mins. Easy short rides and you be over fuelling. Practice. Fuelling at 1.2 gram / kg / body weight with multiple mixed carbohydrates, practice, from experience it does not work for everyone. Don’t start now making changes to your diet or try to lose an extra few pounds. Understand that glycogen is your friend and we have limited capacity to store this in the liver and muscles. Aim to have full glycogen stores by the day before the Etape at least. Best Advice! We need 3-5 grams per kg body weight carbohydrate per day without exercising. Check you are meeting your baseline carbohydrate requirements. I.e 80kg - Baseline Carbohydrate Requirement = 240g-400g per day. What is your daily output? - do you run for the bus, turbo train, train around the park, and if so how much? All activity will have energy and carbohydrate cost depending on the length and intensity. From experience most riders in a sedentary job training 6-10hours will not go too wrong with a total carbohydrate intake of 6-8g/kg BW (body weight). Ideally our carbohydrate intake varies from a rest or an easy day to training days. 7-10days before - Ask the question am I glycogen full or empty ? The weighing scales may provide some guidance if our weight is 1-2kg less than normal and or we have been training without a daily emphasis on carbohydrate. What if we just have no idea? Then steer towards 7-8g CHO per kg with a tapered training. It’s helpful to have a general understanding of macronutrient distribution and what we are eating. A common mistake is to increase the carbohydrates and at the same time increase fats and proteins through the roof. What often happens is we meet our carbohydrate targets but our calorie intake is too high. So - We we have to be prudent with our fat intake. From experience I would recommend in the region of 25% of energy intake. Myself included , cyclists/ athletes often apply the same nutritional guidance for the population to ourselves. AND, often we don’t eat enough of the right foods at the right times and by default in the end, end-up eating more of what we didn’t want to eat. It is helpful to think - fuelling to train and recover. So you are there, maybe a few days before or the day before, perhaps you will put the bike together and have a small ride. But consider, will there be somewhere to eat and precisely what you want to eat? Have you booked a restaurant / hotel food (will it be appropriate or foods you are used too, or enough) / eating from the hotel room or locally? Don’t let poor hygiene spoil your ride. Consider sterilizing water bottles before travelling. Keep to the plan, don't relax too much on the food and drink front. Not after all the prep. The aim would be by now you are already glycogen loaded. This means today you don’t have to over fuel, have 3 good carbohydrate meals, 2 good carbohydrate snacks, and some fuel if you are riding and may be a small top up in the evening. The worst scenario is to feel ‘full’ / ‘bloated’ = 'blocked'. Keep hydrated. 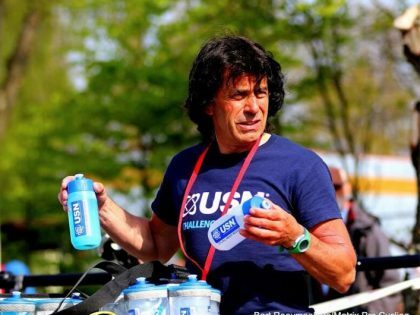 Fluids all meals, couple 500mls bottles, electrolyte or hydration tablets if hot. A day in 2009 on Ventoux when almost everyone got it wrong. Jules and Phil were there with an emergency feed-station (pictured). Consider what time you are going to get up ? What time does the hotel restaurant open? Follow as close to your usual routine before long rides - eating 2hours / 3 hours / 4 hours. When you wake - pee check. If you did not pee or it’s not clear, take on 300-500mls zero electrolyte drink or water with a hydration tablet. Then repeat with Breakfast. Have a good breakfast. (Stick close to what you are used to). Don't be over tempted by the buffet. Don't over eat. Glycogen storing should have been done by now. Breakfast is topping up after an overnight fast and small amount of loading. Aim for 1-3grams CHO per kg body weight (Stick with what amount you know). Add in some lean protein. This is easy to forget ( for example; boiled eggs, avoid the high fat scrambled egg that can be on offer at buffets or a low fat or strained yoghurt, lean meat or even 1/2 scoop of protein powder). It's not uncommon not to feel hungry or toilet habits change the day of an event. It may be better to have less fibre (insoluble) and sometimes less complex carbohydrates such as a high fibre cereal cereals, fruits add have some more refined carbohydrates such as honey or juice. Next few hours you don't need much. Relax! Sip on a bottle electrolyte calorie free or weak sports drink (I.e 1 scoop p/500mls). Few bites of food, only if you are hungry (I.e banana, small amount dried fruit, raisins, bite of sports bar) BUT only a little. Then wait until you getting going. Aim to take on 1gram per kg body weight power hour of carbohydrate. This is solid advice for endurance events. (If you use a mixed carbohydrates AND they agree with you in training this can be up to 1.2g per kilo gram body weight). Now if it is hot and of course you will also be taking on fluid, consider what type of fluid; electrolyte energy drink or water? When it's hot it is easy to take on bottles of electrolyte sports drink and food, and actually take on too much carbohydrate! This will make you slow. The reality! ]We often take 500mls-750mls per hour. Less than 500mls and it is very likely you will run in to trouble. 2 1/2 percent loss of body fluid will impact performance! We don’t need to over load on fluid. Sensible amounts of water and electrolyte solutions. There are variety of possible combinations as mentioned, keep with practised foods and fluids. For example, It might be early in the ride you have a soft white roll with soft cheese and jam with a sports drink with the concentration dependant on temperature, then onto dried fruits and banana hour.2 and then moving on to an energy bar or fruit bars with fruit sweets and then onto gels. There is no one set rule. The amounts and continuous feeding are however a set rule. Some riders will prefer a mix of gels with electrolytes and water and others solid food approach. I'm writing with general advice and pointers on nutrition, not tactical strategies. BUT - drafting (effectively), can have a significant impact on energy output and consequently substrate demand. So let's take rider A, riding hard (wind or no wind), and you tuck in behind, take the right type of rider and right pace, quite easily drafting could be the difference between riding at threshold or below and thus utilising either carbohydrates or fats predominantly. Learn from Froome - Red line = burn up the fuel OR ride smart and finish strong. If you ride on power, then the numbers are there in front of you. Ride on perceived effort and it will not be good news if you can't utter a sentence or speak to someone around you. Climb, draft, ride in a group, ride in the zone and the fuelling with food and fluids can be easily forgotten, keep to plan. Should you take on supplements? First question – Why? Will it benefit? Word of reason. Ask yourself are the basics in place? Of course there is personal choice, and whether supplements are supportive or enhancing. Now there are gels with additions of amino acids etc and varying carbohydrates and amounts. Electrolyte tablets and hydration supplements. These are helpful, particularly when not riding on energy electrolyte drinks. 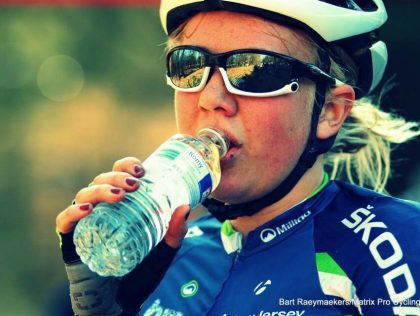 Practice, what you are used too, sometimes in hot weather the addition of electrolytes tablets or solutions to electrolyte drink or addition of hydration tablets may be beneficial. BUT if cramp is an issue its best to seek some professional advice first. And it's not always advisable to be taking on more salt/sodium for example if there are blood pressure issues. Always best to have a health check anyway before taking on an endurance event). Caffeine - caffeine has a role. BUT care when the weather is hot and in long events. Although caffeine drinks can have a hydration affect when there are part of our daily hydration, there is a diuretic effect depending on the amount of caffeine drinks taken. But from experience when it's hot or when too much is taken on early in an endurance events could be detrimental. Keep in mind how a supplement in form of gel or fluid will have an effect on concentration of fluids in the stomach. Isotonic / osmolality is key and often keeping things simple is best. With high carbohydrates intakes, we need b-vitamins and a good diet meeting energy requirements should meet all micronutrients. When unsure when having a high carbohydrates than b-complex supplement on these days may be beneficial. Best advice is to keep it simple and dial in the carbohydrates and energy. Normalize as much as possible. Any energy left in the final hour, then start to push! Fuel well and ride strong. Darren Barclay from Form provides bespoke nutrition planning, body composition assessments with skin folders callipers and dual phase bio electrical impedance with specifics to body cell mass and phase angle.